Unless stated to be an ONLINE promotion, all discount coupons and 2 for 1 vouchers must be redeemed at the ticketing counter upon purchase of a full price adult or child ticket. Please note: All promotional discounts and offers cannot be used in conjunction with our online tickets. Be sure to check your coupon for further terms and conditions. 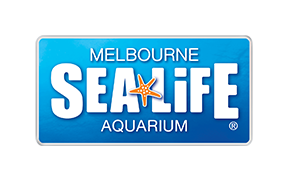 Can I use a 2 for 1 voucher or discount coupon at SEA LIFE Melbourne?